Unique well known Hawkes Bay property, Tutira. . Whether it is a romantic weekend or a fun packed few days of activities with family we can offer it all here at Guthrie Smiith, Tutira. 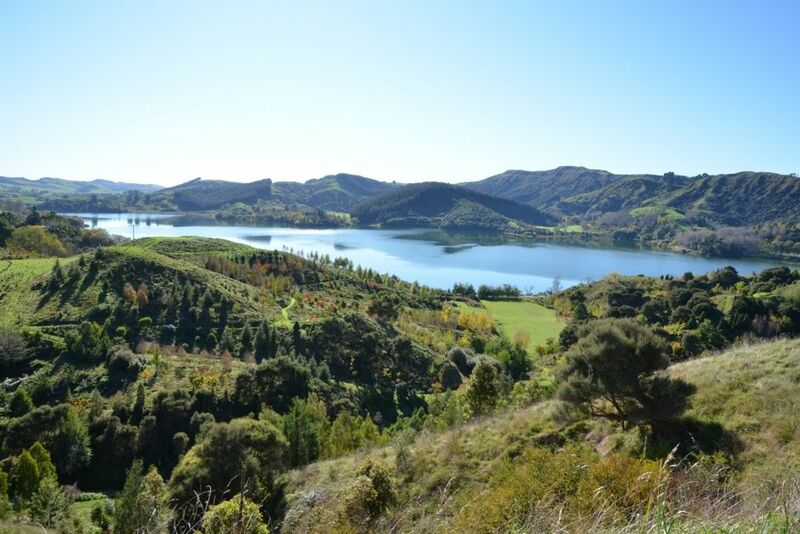 The Arboretum becons with spectacular walks amongst the trees and breath taking views over Lakes Tutira, Waikapiro and Orakai. Walks within the Arboretum can range from 30 minutes up to 2 hours plus. The nearby Tutira Church, also onsite, offers a place for reflection and meditation. Canadian and 2 person sit on Canoes are available as part of the rental. Other activities on site available on request include High and Low ropes, Flying Kiwi, Mud Walk, Night walk to Glow worms and fresh water Crayfish, Educational Geocache with GPS units provided, Team building activities and Guided walks. The Arboretum is set out in Geographical sections enabling you to get an understanding of where different plants and trees originate from . We have a woodlot area where different trees are being trialled for their timber potential. All trees are labeled for easy recognition and there is good educational signage to help make for a memorable stroll amongst the trees. Across the Lake from us is the HBRC Tutira country park where there are more walking opportunities and spectacular views. Just up the road we have Holts forest a hidden gem. Also the Panpac Kiwi Creche at Lake Opouahi and Boundary stream the Department of Conservation Mainland Island. More about this property managed by a charitable trust can be obtained through the Guthrie Smith website. Close proximity to Boundary Stream, Kiwi Creche, Shine Falls, Bell Rock, and the HBRC country park. Great spot and friendly hosts. House is great. A place to chill out and relax. When you are going to the Mission Concert who in their right mind would want to stay in Napier and fight the masses re accommodation, meals, a beer at the pub etc. When you can stay at Lake Tutira with a few fine wines and in the company of good friends. A beautiful meal (brought it with us) on the large deck with a stunning outlook. Clean, tidy, recently renovated and wonderful hosts who are there to help not invade your space. Loved our stay and the hosts were very welcoming. Looking into lake Tutira and the bush surrounds with the sheep grazing is a soothing effect for the mind. We did the loopy walks around the estate and the lake. We were amazed with the variety of fruit trees based on the geographical area. Such a fantastic trip and this wonderful bach in a beautiful setting made it all the more special! After a 6 hour trip up from Wellington (several comfort stops along the way to keep us and our 2 and half year old sane! ), pulling up to the gate in front of the cottage was welcome relief, albeit at 9.30pm. The next morning we were completely blown away by the amazing picture view of the hills and the lake once the fog had lifted and we knew that this was going to a very special holiday! the Arboretum is such a pretty and relaxing spot that we wish we had been able to explore a little more but didn't quite have enough time to fully appreciate it all. A perfect excuse to come back for another stay I would say! Having the sheep and pigs roaming around freely as well was great and really made our little boys trip. The cottage itself is beautiful and so well maintained, we couldn't have asked for more. So much effort has gone into making it look and feel like a 5-star apartment, with the benefit of being in such an idyllic location. It really was a wonderful treat for us and will be a experience that we will never forget! Thank you so much! We loved our time here! It was such a beautiful and peaceful spot. We didn't want to leave! Lovely property and location was fantastic. The cottage has all you need and very well equipped. Highly recommend.